Travel writing and other representations of journeys as cultural practice and product are engaging the attention of scholars and commentators in a wide range of disciplines and its study is becoming recognized as an important academic field. The remit of Journeys is to reflect the rich diversity of travels and journeys as social and cultural practices as well as their significance as metaphorical processes. 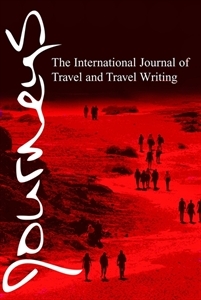 It is a broad-based interdisciplinary journal of particular interest for those interested in the studies of travel writing from the perspectives of, for example, anthropology, social history, religious studies, human geography, literary criticism and cultural studies. Please note that this journal is available in printed format - click here for details. For more information regarding this title please click here.